Meta descriptions and title tags would surely not get you miraculously to the top of the search engine results. However, dusting away some myths opens doors for improved CTR rates for your websites. Title tags and Meta descriptions could be two relevant elements that entice viewers to click on your link rather than the competitors’ links. Well, it would be greatly helpful to get deep into the discussion. While some of you would want to know how this can be defined appropriately, others may be wondering why various site owners often push Meta descriptions and title tags are often neglected and pushed to the back burner. We would understand every aspect of it digging in from the crust to core. 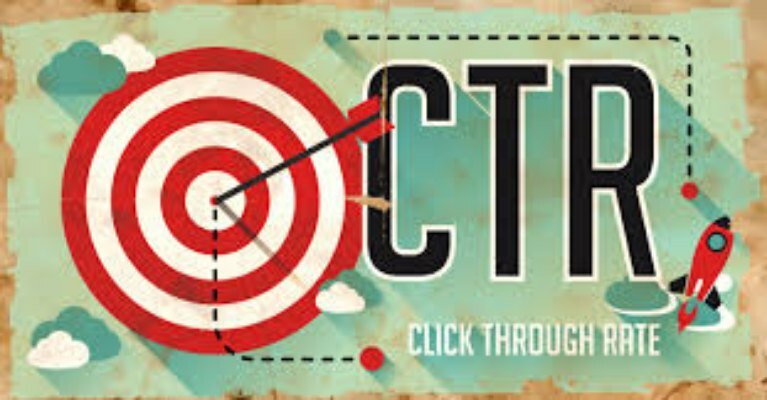 Click-through-rate is a performance metrics that are expressed in percentage considering the number of times a link is clicked against the number of times it has been viewed. It is helpful to measure or recognize the effectiveness of email marketing campaigns, displays, and paid searches. It also indicates the performance of subject lines, ad copy, and Metadata (titles and description). Thus, the effectiveness of Metadata is linked with the desired CTR. What are title tags and Meta descriptions? Meta descriptions and title tags are basically bits of HTML codlings set in the headers of web pages. These are the keys that help search engines to recognize the type or related topic that content boasts. It is obvious that it would help the search engine decide when the content should be listed in the search results. Whenever content is mentioned in the search results, the title tag and Meta description of the same is shown too. 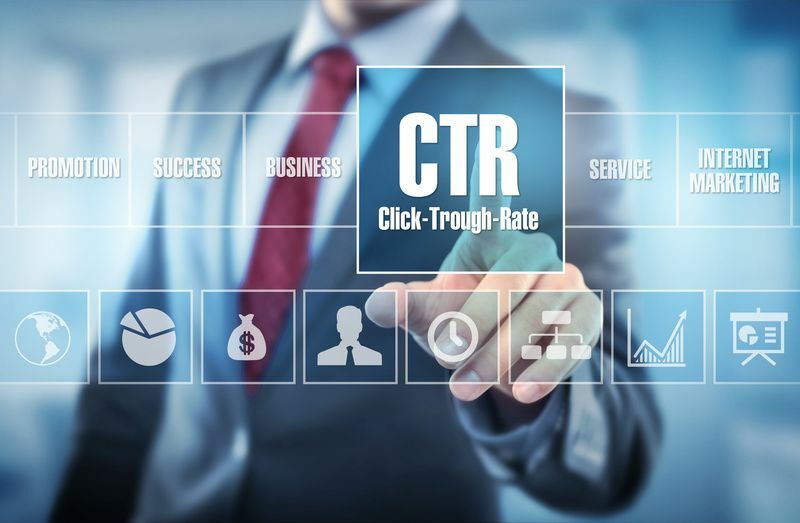 Moreover, effectively defined Meta descriptions can prove to be extremely helpful in getting increased Click through Rates (CTR). It is therefore advisable to include the most probable phrases and relevant keywords that can explain better about the page. An effective description and title could surely compel the reader to click when nothing else does. Title tags are used to inform visitors and search engines what the content is all about in a manner that is the most concise and accurate. Along with the tab in your a web browser, the title will appear in various other places on the web. Also, the title would be pulled in as the anchor text when shared on other websites or any social media channels. How can I add title tags? Although this is not the case with most of the CMS (Content Management System) including WordPress, you may be able to add the title tags via general settings. When you make use of SEO plug-ins like Yoast, you can add the title tag in the ‘SEO title’ section and also have a look at the preview demonstrating how it will look in the SERPs (search engine result page). While writing an article, the headline section will automatically form the title tag in most cases. If this is the case you can choose to override it using a plug-in. The headline is generally the <h1>tag which is another strong element to indicate the search engine about your content. You can take up the optimum advantage of this. When considered from the SEO perspective, all probable keywords you wish to rank for should be included in the title tag. Also, the most important keyword should be used in the very beginning, the second important keyword and the brand name should then follow. On all conditions, you need to remember that have to make the title understandable and catchy. Though you need to format them as per search engines you should also ensure that the title is readable as a legible sentence and makes sense to the readers. Length: Including spaces, title tags should not be longer than 50 to 60 characters. Keywords: In the title tag, place the most important keywords first and the let the least important words follow in the last. Brand Name: It is better to place your brand name at the last if it is not an important keyword phrase. Do not duplicate title tags: Title tags should be written uniquely for each web page. Mass replicating the title tags would have a negative affect on you’re search visibility. Make it relevant: Title tag should define the content on the page accurately. The title should be relevant enough. Avoid “Keyword Stuffing”: Writing titles that try to rank for everything is certainly not ethical. Keyword stuffing the title tags or using some words over and over again can make you subjected to penalties. Keep the headline (<h1 tag>) different from the title tag: This can create different opportunities for keyword phrasing. This would increase the chances of the same web page appearing as the results of different search intents. This is a short text paragraph that is placed in the HTML of a web page and describes the content. Meta description, as you may know, would appear on the SERPs under your page’s URL. At times, this is also known as a snippet. Just like Meta tags, Meta descriptions appear when your content is shared on other websites and social media channels. How to add Meta Descriptions? When you are working with WordPress you are going to have complete control over the meta descriptions with the CMS. Also, while using SEO plug-ins like Yoast, you can add up meta description from the ‘meta description’ section. You will also have the preview of how it is going to appear on the SERPs. As per Google, a meta description is not a ranking signal. However, a well-composed description could surely improve the click-through rate. How to write an effective meta description? Keywords: You should see to it that the most important keywords related to the web page are included in the meta description. If the search engine finds the searchers query in your a snippet, it often highlights the same as bold. It should be a legible read: this is really important. The meta description should be readable and must not be keyword stuffed. The searchers will otherwise assume your the website to be spammy. It should include normally written sentences that make sense. Treat them as an advert for your web page: Meta descriptions should be relevant and compelling. Though the descriptions should match the contents on the page, you always have the choice of making it more appealing. Length: Although Google had long been testing longer written snippets, you should consider writing a description that is not longer than 135 to 160 characters. Even if you are writing a longer description, make sure to include the important keywords in the near front as the search engine would crop the description if it’s too long. Do not duplicate meta descriptions: Mass duplication would be penalized by Google. Therefore, you should consider writing a unique meta description for every web page. Use rich snippets: You can make the descriptions more appealing by adding up probable elements of schema mark up to it. For example, you may include customer rating, star rating and other relevant product details with it. Well, things do not end up here. There are still some elements and examples that you can consider to handle this in a better way. Here are some more elements and strategies that you can consider in order to improve or increase the Click through rate for your web pages and contents. Adding numbers to the title tags can make it more relevant and frequently available in the search results. Using odd numbers would be something even great. Odd-numbered headlines tend to outperform more then the even numbers. However, in several cases, some number is absolutely better then no number. Use of power words in the title tags could make them more effective and create an urge for the searcher to click on the link. If you are not aware, power words are emotionally-charged terms. Some examples of power words are Ultimate, Step-by-Step, Crazy, Hack, Effective, Powerful, Secret, Advanced, Magical etc. The image above would hardly initiate any action from the viewer. But if you consider: Both the title tag and description use power words and seem to be more inviting to the searchers. Apart from telling that it’s about designing a logo, the title also indicates that it’s a step to step guide. The American Marketing Institute states that emotionally charged headlines tend to get more frequent clicks. It’s the emotion in the title that urges them to click on it ones. Pushing the emotional buttons of the readers or searchers could certainly work well. And the second one which states: “5 Interesting ways to get rid of acne instantly”. This one is likely to grab more clicks as it tells the reader how the content will actually help them. Well, most of the searchers would not pay attention to the URLs that may appear in the search results. However, there are some who do. Hence this is something worth considering. You have to now focus on creating URLs that people will want to click on. • Make it short; studies show that short URLs are known to get over 250% greater clicks in comparison to long URLs. • Let the URL be descriptive of the things that the page consists. Insanely long URLs make it difficult to realize the actual subject of the page. • Most importantly, include keywords in your URL. However, the URL may not include a keyword entirely; you can include one or two words before or after the keyword to make it better. The URL, in this case, is both short and descriptive and may attract more clicks. Though title tags and Meta descriptions may not have a major or direct role in improving a website ranking, these are not the elements to be ignored. They do have a major affect on user engagement and clicks. You can surely boost the CTR for you’re web pages, by executing the above-mentioned strategies.